We are bogged down with work right now as we haven’t had a chance to get to all the pages of this blog. The ALL ABOUT THE B’S will arrive soon…by swarm, no doubt. 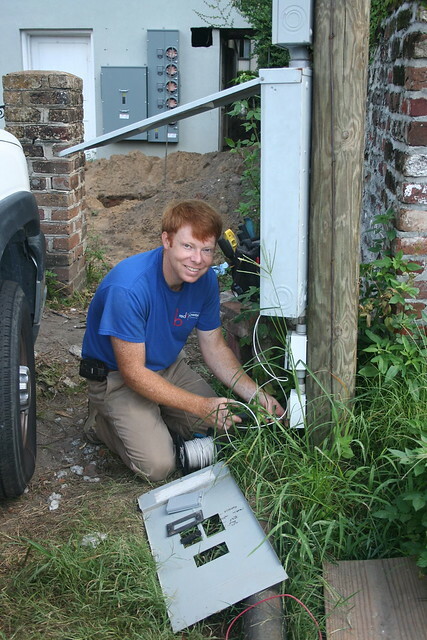 In the mean time, you may reach Denny, Brandon, Luke, Brian, Christy, or any staff member, on the redb Power Line: 912.871.redb (7332) or redb@redbpower.com. We would love to help with your low and high voltage electrical projects — dial us up we love to talk about it! Thanks for stopping by our little blog. Please leave us a comment. Yes! That would be GREAT. The photo is of Brian. We will add pictures of the rest of us soon!